We are heading to the end of the school year and as children are preparing to move on to new classes, some people like to give the teacher a gift. 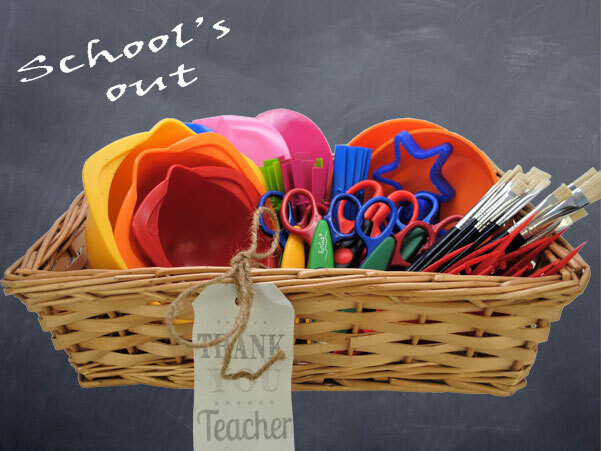 In some schools/pre-schools funding for classroom basics like bowls and glue-spreaders is not always available so instead of the usual chocolates, flowers and mugs why not give some school/pre-school supplies? You could always get together with a few parents and put together a little ‘supplies gift basket’. 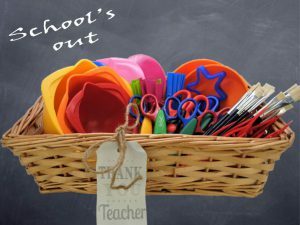 I’m sure the teachers will thank you, not only for the supplies but also for saving their waistlines from all the lovely chocolates and cakes they usually receive. 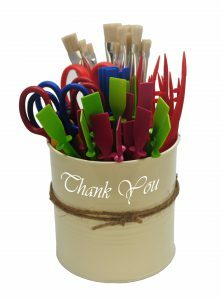 We stock scissors, paintbrushes, glue spreaders, plastic tweezers, dipping bowls, mixing bowls and lots more on our website, why not pop over and have a look.